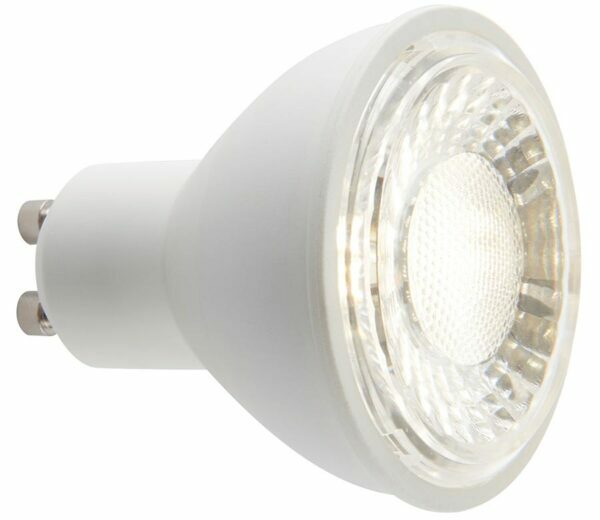 A cool white (4000k) 7w GU10 SMD LED lamp with 60° beam, a bright lamp incorporating the latest LED technology. This lamp can be used safely within enclosed heads, such as outdoor, bathroom and fire recessed cans, with no reduction in performance or lifetime. With a wide beam angle of 60°, this lamp is equivalent to a 75W halogen. Other options available in this range.